Fluoride is a natural substance that helps strengthen teeth and prevent decay. Fluoride treatments are administered at this office as in important component of pediatric dental treatment. The fluoride is applied to the teeth in a gel, foam, varnish or rinse form. 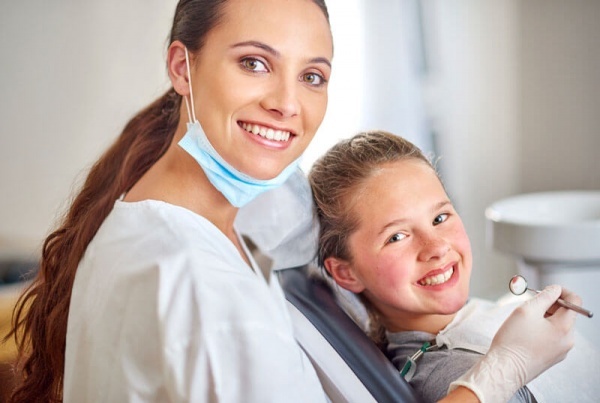 Dental X-rays are a valuable diagnostic tool used to identify decay, extra teeth, bone defects, tumors, cysts and check the progress of previous procedures. Advances in technology now allow for digital X-rays, which reduce radiation exposure more than 90 percent, and produce instant, high-quality images that can be viewed immediately by the dentist and the patient. Composite fillings are done in one visit. And look very natural. We clean the tooth from the decay and possible an old filling, than we fill in the composite material and use a special light to harden immediately. A bridge replaces missing teeth without the use of a denture or dental implant. We use the adjacent teeth as anchors, place crowns and connect them with a fake crown that replaces the missing tooth. 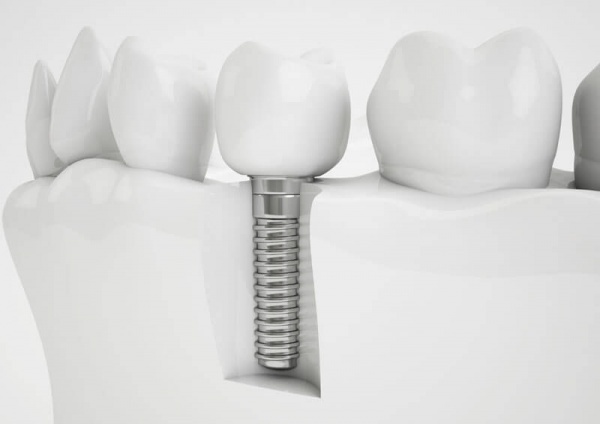 We may also recommend dental implants to replace the missing teeth. Bridges are usually made from the PFM (Porcelain Fused to Metal). The biggest difference here is the metal. Despite it being invisible (covered by the porcelain), it has the most crucial influence on the long term success. The metal is divided into 3 groups. Non-precious, semi-precious and precious (also high noble). The higher the percentage of precious metals in it, the better is the corrosion resistance, which makes the bridge longer lasting. The latest research is working on replacing the metal all together with ceramics, and it does look promising. We use this alternative to a “regular” crown, when the existing damage to the tooth is too big to be restored by a filling, but not big enough to justify a full coverage crown. It is done in 2 visits, and while you wear the temporary restoration, certain precautions should be taken, in order to ensure that you do not dislodge it from its place. These used to be made out of gold, but now we use modern ceramics to make them blend in better and we can also preserve this way more tooth structure. Once the real restoration is in place, it looks and feels same as your natural tooth, while preventing any additional damage to the gums, by staying away from the gums, whenever possible. Using a tooth colored composite material, we fill in and/or build up your front teeth to improve their appearance. It is a less expensive, but also less durable restoration than the veneers, but is used for the same purpose. Using Air Abrasion technology, Dr. Kniter is able to offer our patients the comfort of drill free dentistry. Air Abrasion is a new micro-dentistry technique which sprays a very fine stream of particles such as silica or aluminum oxide using compressed air or gas. Like a mini sandblaster, this technology can be used in place of a drill for many dental treatments, improving comfort and reducing anxiety traditionally caused by the noise of a drill. ZOOM!® Whitening, also known as bleaching, is the procedure used to brighten teeth. This in-office whitening treatment offers immediate results and uses a laser to facilitate the whitening process. It allows Dr. Kniter to customize aspects of the treatment to each individual patient’s needs to provide the best possible results. An affordable alternative to traditional braces, Fastbraces® offers a quicker, more convenient and comfortable solution for straightening your smile. Using a patented triangular bracket, treatment with Fastbraces® can be completed in as little as 3 months to a year. Unlike traditional braces that make adjustments to the position of the tooth before adjusting the root of the tooth, the triangular bracket is designed to reposition the root of the tooth from the onset of treatment, reducing both treatment time and discomfort. In case, where a tooth can not be saved due to the sustained damage, we numb the area sufficiently and profusely. Using the most gentle extraction technique we remove the tooth, and often use bone graft material to either provide for a better implant placement, or to prevent a periodontal (gum disease) defect. While nobody is looking forward to have their teeth extracted, Dr. Roman had a 4 year associateship in an oral surgeon office and is very experienced in this treatment. We also use TENS units to assist in relaxing the jaw and facial muscles. Please visit www.myotronics.com for more information. A lot of people tend to grind, or clench their teeth. For those that do it at night, we recommend a night guard, which is a custom made dental appliance that fits over your lower, or upper teeth and protects them from the enormous forces that we apply at them nightly. It needs multiple appointments of fitting and bite adjustment This guard also stretches your muscle, and even helps sometimes with headaches. Nitrous Oxide, sometimes referred to as “laughing gas,” is an effective and safe sedation dentistry agent that is inhaled through a mask that fits over the nose to help patients relax. Mixed with oxygen, nitrous oxide allows the patient to breathe normally through the nose. The effects of the sedation will be felt within just a few minutes and may be experienced as a light-headed feeling or a tingling or heaviness in the arms and legs. Ultimately, patients should feel comfortable and calm. The effects of nitrous oxide wear off quickly after the small mask is removed. Talk to the doctor about whether nitrous oxide would be a good option for you. Our office also offers NuCalm® for patients with dental anxiety. Developed by a leading neuroscientist to reduce extreme anxiety, this system can help patients enter a deep meditative state using headphones that play relaxing music, light-blocking glasses, mild electric nodes for the throat, and a GABBA amino acid supplement. Read more about NuCalm® by clicking on the link below.